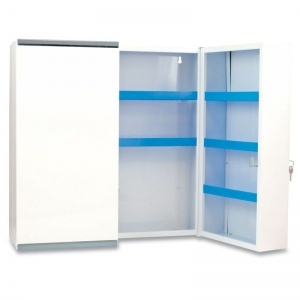 For large capacity first aid storage, the Budapest Metal First Aid Cabinet is a secure storing option for first aid contents and provides many shelving units for optimal organisation. 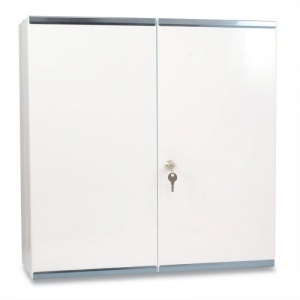 Ideal for businesses with a large number of employees, the Budapest Cabinet ensures that you can store a good amount of safety provisions in a convenient and practical manner. The double doors of the cabinet offer refrigerator-style storage, ensuring that you have as much use of the space as possible. It comes with two keys so that it can be locked, keeping your items secure. 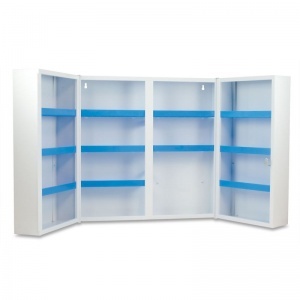 The shelves inside are also adjustable, enabling you to accommodate for items of various sizes. 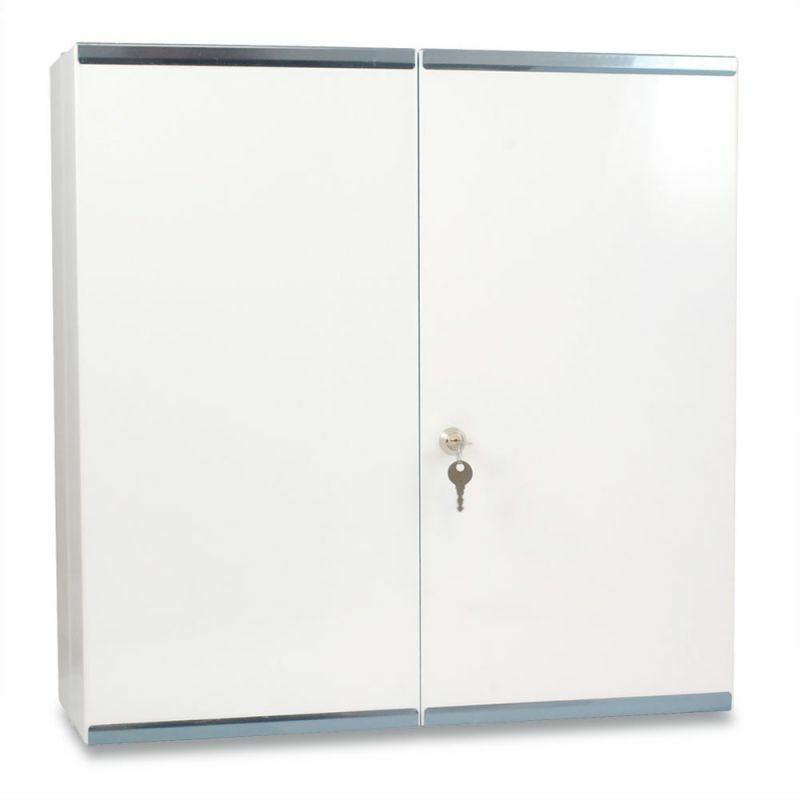 The Budapest Metal Cabinet has been constructed with a stove-enamelled finish and is perfect for clinical environments. While it is not suitable to store medicines, it is great for keeping sterile bandages, saline solutions, plasters, dressings, shears and other accessories safe, dry and away from contamination. The Budapest Metal First Aid Cabinet is usually dispatched via First Class Royal Mail and delivery should be within 1 to 3 working days.